The CT100 is a two-channel phono preamplifier module with very accurate RIAA equalization and many features. It is realized with the best semiconductors available and non-inductive, low noise, SMD metal film resistors. The circuit is designed to accept both moving coil (MC) and moving magnet (MM) transducers/cartridges directly in order to eliminate the need for an external MC step-up transformer or amplifier. MC/MM input loading and input nominal level values are easy to select with high resolution by DIP-switches. The CT100 is ideal for the most demanding applications requiring accurate RIAA equalization, very low noise, extremely low distortion and superior sonic performance. CT100 is a pre-assembled PCB ready for building into an enclosure or even better into your turntable (shorter signal cables). 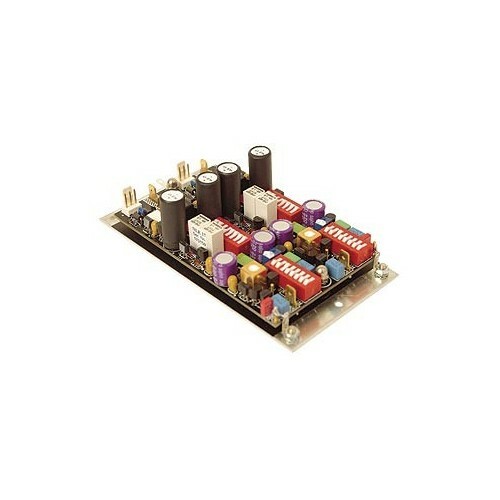 The high output voltage from CT100 makes it equivalent to other signal sources like CD-players.